During IFFR Roffa Mon Amour picks out some of the greatest up and coming directors. Today we introduce rising star: Nina Gantz. Nina Gantz was born in Amsterdam and grew up in Rotterdam. She went to art academy. St. Joost in Breda before completing her master in Directing Animation at the prestigious National Film and Television School near London. This year she met with some of the biggest animation studios in the world. She went to LA to visit Pixar and DreamWorks, but judging from her authentic graduation project Edmond, she is not giving up her artistic freedom for just a big commercial studio. Edmonds impulse to love and be close to others is strong—maybe too strong. As he stands by a lake contemplating his options, he leaps back in time reflecting on his defining moments in search of the origin of his desires. Edmond has been selected for numerous of big film festivals, won a BIFA and is nominated for a BAFTA. Nina is preparing her trip to Sundance when Skype-interview her. Her film has been selected for the short section. We ask her if she will be able to watch some films at Sundance, but she is afraid she has too many appointments already. She explains she doesn’t know how to deal with all these people who’d like to meet with her. She feels new in the industry and clearly she is not the kind of person taking business opportunities to network herself to the top. She is authentic and choses her own path. NG: I have made such a terrible mistake last night! NG: Something really bad. I received another email from someone who wanted to meet me at Sundance. So I send a message to my producer: ‘Do I really have to see all these freakin people?’ I pressed ‘send’ and then realised that this person had the same name as my producer, so I had send the mail to her accidently. NG: I asked my roommates like, “Is it bad? How bad is this?” And they all replied, “It’s bad.” I immediately sent another email to say there was a mix up and that I would LOVE to meet! Obviously she never responded. RMA: But you can do that as an artist, right? Be a bit rebellious. People love that. Don’t worry about it. RMA: Where did you get the idea for Edmond? NG: I wanted to make something about someone who literally travels back into their own past I actually got the idea during a set design workshop. I had to make a set and come up with a story for it. Every time the character stepped into another room, he went back in time. RMA: Your woollen puppets are really beautiful. NG: I wanted to use wool because the story is sometimes so violent. By using a soft material I wanted to slightly mute the senses. The story literally becomes softer and easier to digest. I had never made an animation puppet before, so I asked my drawing teacher who also has a studio with her sisters [studio FOK] to help me. We arranged a workshop and I guided the group to make armatures while they taught me how to felt a puppet. I was very happy with their help because I needed thirty-five characters, which was the most number of puppets ever to be used in an animation film at the film school. RMA: For a few years you worked as an assistant illustrator. Did you always know you wanted to work in film? NG: I went to the art academy in Breda, where you learn very well how to develop yourself as an artist, but you don’t learn how to work in the film industry. After the art academy I wanted to go to a film school and get more experience as a director, however I had an opportunity to work on a feature film so postponed my plans for a year. During this time I developed an interest in stop-motion. 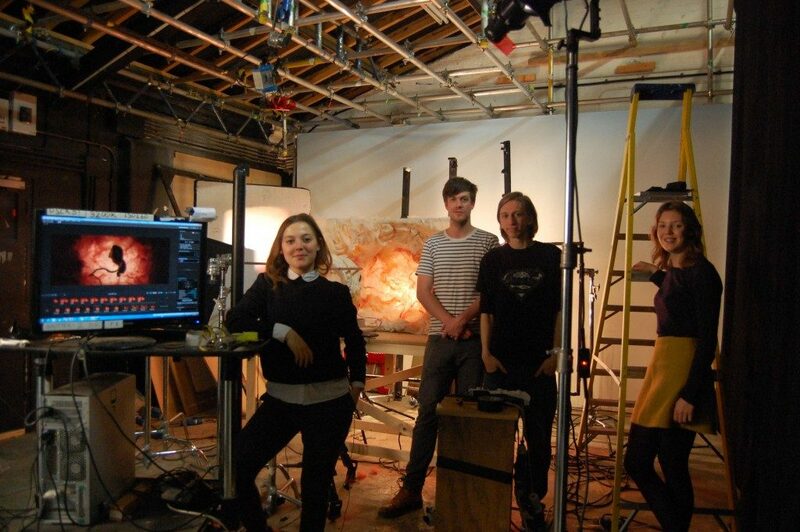 RMA: What was it like to study at one of the worlds’ best film schools? NG: Only eight people per year are selected, so the selection procedure is extremely tough. They gave us a week of exercises to test our creativity, capacity for dealing with critique and your leadership. At the end of the week you pitch your ideas in front to a group of teachers and professionals….nerve racking. My English was not good at all. I mean, we all speak a little in the Netherlands, but once you have to describe something and you are really nervous… That’s a different kettle of fish! Anyway, I got through the selection, but then I heard Ari [Deelder] was going to make her first feature film, she wanted me do do the animations for it. They said that if I wanted to make the film I had to do the selection again next year. It was a tough decision, but I chose to make the film with Ari. She is my best friend, and you don’t walk out on your best friends first feature film. Besides, the opportunity to work on a feature and be head of animation was too good to turn down. A year later I got a letter from the film school in which they said I could come without doing the selection. RMA: Wow! See, it’s good to be a rebel. NG: Because it’s a masters degree everyone in this school already has some experience. Everyone is extremely ambitious. Obviously everyone also has a huge debt after doing this film school: it’s crazy expensive. So you really want to make the best of your time there. It was amazing to work with so many likeminded people. I had the most wonderful two years. I’m not even sure if the school is that good, but the students I worked with were one by one insanely talented. RMA: Would you still like to work with all of them? NG: Yes, they were a great team and I would love to work with them again in the future. Sometimes producers want to work with their own team, so it could be hard to keep everybody together. NG: It was my first stop-motion film, so I had a lot to learn. Almost everyday something went wrong. What topped the chaos was probably the time the studio flooded. A lot of the sets were damaged and we had to rebuild it all. Not ideal. Animation takes a lot of work. If I would have only relied on the help from school, I wouldn’t have been able to finish this ambitious project. I had an incredible team at school, but I needed all the help I could get. My family and friends: everyone had to help. That’s why my credits are so long. Sometimes friends came to visit me, which must have been quite disappointing. First of all they found out that my school wasn’t actually in London but in Beaconsfield, a hamlet outside town. Then I’d say: so were not going to London, but how would you like to felt a puppet? RMA [Laughing] isn’t it complicated to felt a doll? NG: No, felting is really easy. Except for Edmond, because I had to make his face in different sizes and the faces all had to look the same. Normally you’d use a mold, but I didn’t have one. Before I would start animating, I acted out all the scenes. Many of the scenes I did myself, but also my mother [red: actress Loes Luca] did some of them. She and Peter Blok acted out the scene on the couch out for example. RMA: Do you have that on video? That must be great material. NG: It will be used for the making of Edmond! If I can find the tape, because I lost it…. RMA: What director would you like to work with? NG: Michel Gondry. I once spoke with him at IFFR. He was really high! [Laughing] But he asked what I did and I told him I worked as an animator. He said he loved animation and I said, ‘Yes I know. If you ever need help: here is my number.’ But he refused and gave me his contact details instead. So I have his email-address in my phone but I’m afraid to mail. 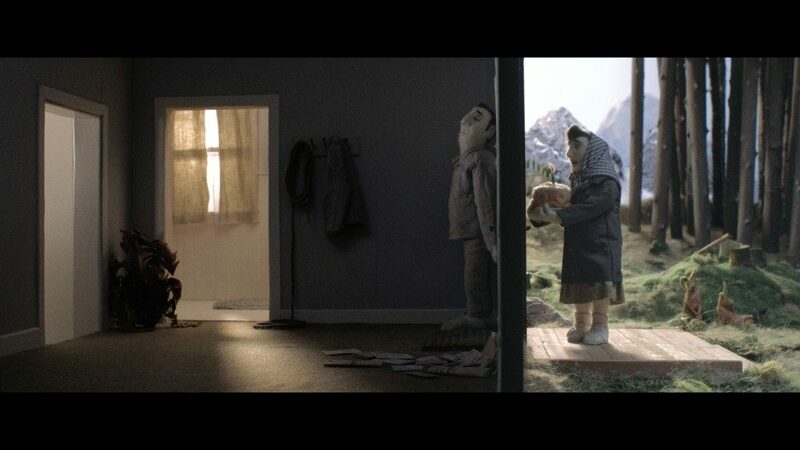 I’d also love to work with Roy Andersson and Wes Anderson. 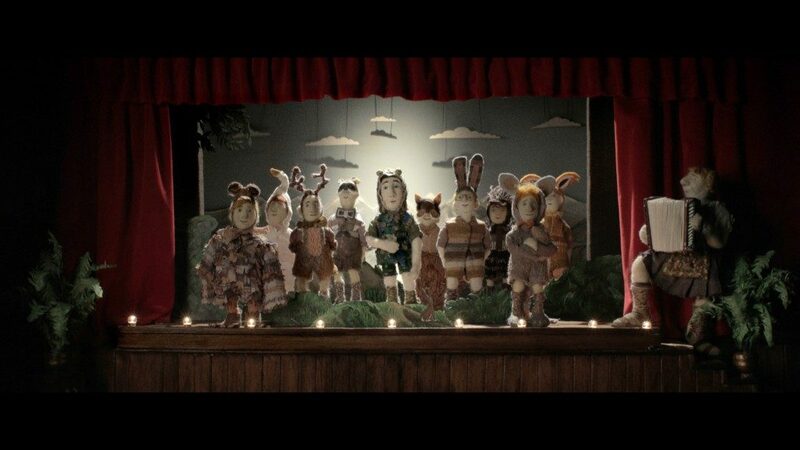 RMA: Wes Anderson is making a stop motion as we speak! I’ve never idolized someone. The people I mentioned are my inspiration. I hardly watch any animations myself. Honestly, I’m difficult to impress! RMA: What type of animations do you not like? NG: There are few animated feature films that really blow me away. Some shorts, I find, are often really impressive. When I was young, I used to love big studio productions but the current output seems quite predictable. RMA: Do you think animation is an underrated discipline within the film industry? NG: I’m not sure if I’m the person to say something smart about that. I feel very much appreciated for my work all the time. But I guess some beautiful animations often stay within the festival circuit and the big audiences only get to see the films made by big production houses, so a festival like IFFR you can discover all sorts of hidden gems.